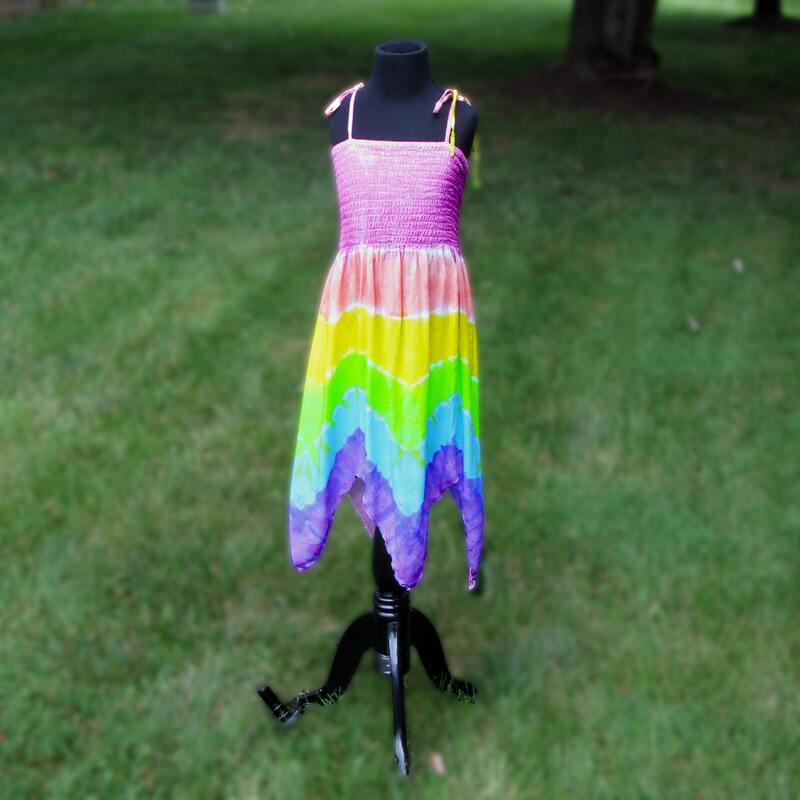 The perfect fairy costume dress! These adorable dresses have an elastic bodice for a comfortable fit and adjustable straps that tie at the shoulder, plus the handkerchief hem gives the dress a fairy-like quality. Made of 100% lightweight washable rayon that floats and swirls - so much more comfortable than polyester fairy costumes! Youth sizes 4, 6, 8, 10, and 12. If in between sizes, size up. 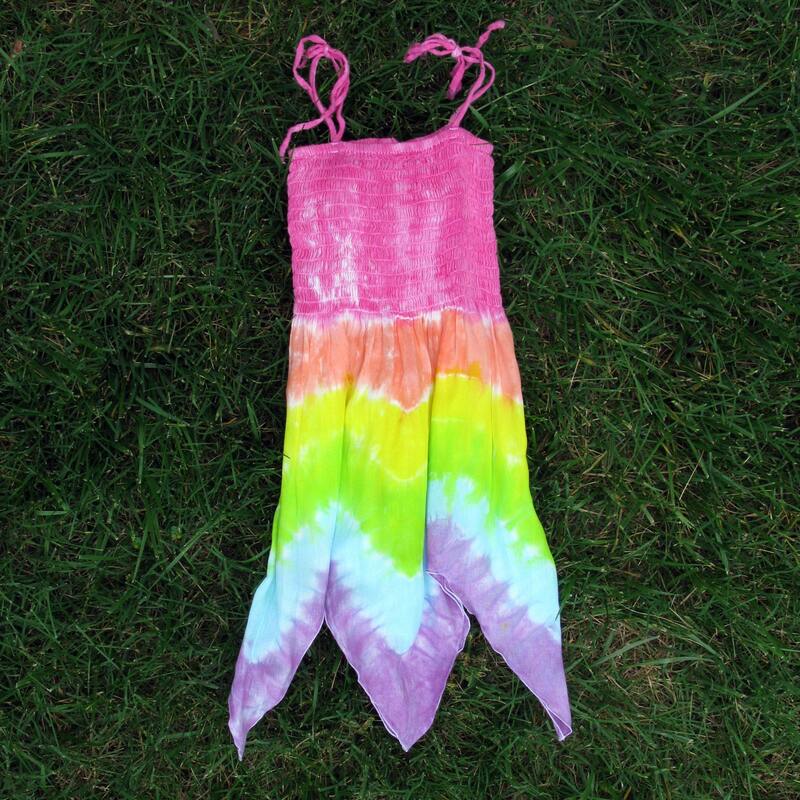 Tie-dyed in pastel stripes or ask for your own favorite colors.